Xonotlite: Mineral information, data and localities. Named in 1866 by Karl Friedrich August Rammelsberg after its discovery locality, Tetela de Xonotla, Mexico. 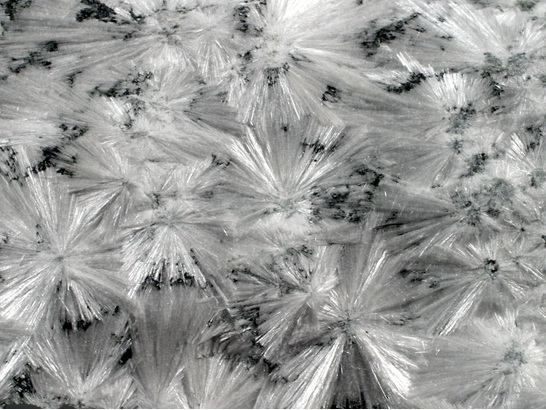 An ino-silicate mineral with double dreier chains. Several polytypes are known (Hejny & Armbruster, 2001): Ma2bc (space group P2/a, a = 17.032, b = 7.363, c = 7.012 Å, β = 90.36°), Ma2b2c (space group A2/a, a = 17.032, b = 7.363, c = 14.023 Å, β = 90.36°) and M2a2bc (space group P-1 , a = 8.712, b = 7.363, c = 7.012 Å, α = 89.99° β = 90.36°, γ = 102.18°). Related to the Tobermorite Group. Visit gemdat.org for gemological information about Xonotlite. Space group P2/a (Ma2bc polytype). Mg-bearing Xonotlite A Mg-bearing variety of xonotlite. Inesite 24 photos of Xonotlite associated with Inesite on mindat.org. Roeblingite 19 photos of Xonotlite associated with Roeblingite on mindat.org. Hendricksite 18 photos of Xonotlite associated with Hendricksite on mindat.org. Clinohedrite 16 photos of Xonotlite associated with Clinohedrite on mindat.org. Ganophyllite 15 photos of Xonotlite associated with Ganophyllite on mindat.org. Hydroxyapophyllite-(K) 13 photos of Xonotlite associated with Hydroxyapophyllite-(K) on mindat.org. Stringhamite 13 photos of Xonotlite associated with Stringhamite on mindat.org. Prehnite 11 photos of Xonotlite associated with Prehnite on mindat.org. Olmiite 11 photos of Xonotlite associated with Olmiite on mindat.org. Datolite 10 photos of Xonotlite associated with Datolite on mindat.org. 66.3.1.2 Zorite Na8(Ti,Nb)5(Si6O17)2(OH,O)5 · 14H2O Orth. May fluoresce and phosphoresce violet in SW, MW, and LW ultraviolet light (Franklin, New Jersey). Rammelsberg, Karl Friedrich August, Z. Deutsch. Geol. Ges. (1866): 18: 33. Larsen, E.S. (1923), The identity of eakleite and xonotlite, American Mineralogist: 8: 181-182. Taylor, H.F.W. (1953), The identity of jurupaite and xonotlite: Mineralogical Magazine: 30: 338-341. Doklady Akademii Nauk SSSR: 104: 615-618 (in Russian). Journal of the Mineral Society of Japan (1972): 10: 358. Zeitschrift für Kristallographie (1981): 154: 271. Hejny, C. and Armbruster, T. (2001): Polytypism in xonotlite Ca6Si6O17(OH)2. Z. Kristallogr. 216, 396-408. Bernstein, S., Fehr, K. T. & Hochleitner, R. (2009): Crystal chemistry of Xonotlite Ca6Si6O17(OH)2. Part I: Determination of polytypes using X-Ray Powder Diffraction (XRPD). Neues Jahrbuch für Mineralogie - Abhandlungen, 186, 153-162. The following Xonotlite specimens are currently listed for sale on minfind.com. Litsarev, M. A., Organova, N. I., Khranach, P., Chukanov, N. V., Kuz’mina, O. V., Kartashov, P. M., ... & Zadov, A. E. (1998). Hydroxylellestadite from the Arimao Norte Garnet–Wollastonite Skarn (Cuba). Zap. Vseross. Mineral. O–va, 127(6), 68-75. Jacobsson et al (1992) Encrustations from Lava Caves in Surtsey, Iceland. A Preliminary Report: Surtsey Research Progress Report X: 73-78 Reykjevik, Iceland. Bull. Soc. Franç. Minéralo. Cristallo. , 1974, 97, p. 506. Bedognè, F. (2006) Xonotlite della Val Lanterna, Valmalenco (SO). Rivista Mineralogica Italiana, 30, 254-255. Demartin, F., Campostrini, I., Grisotto, M., & Grisotto, L. (2006). I Canzoccoli. Una località classica presso Predazzo, Val di Fiemme, Trento. Rivista Mineralogica Italiana, 30(3), 166-177. Bonaccorsi E., Merlino S., Orlandi P.(1996): Breve nota sulla xonotlite di Monte Castelli. Atti Soc. tosc. Sci. nat., Mem., Serie A, 103. Passaglia, E. , Tagliavini, A. (1995) Erionite from Faedo, Colli Euganei, Italy. Neues Jahrbuch für Mineralogie, Monatshefte, 185-191; Fabris, L., Guastoni, A. (2014) Provincia di Padova. In: Zorzi, F., Boscardin, M., (eds. ), Minerali del Veneto. Alla scoperta dei tesori della nostra regione. Museo di Storia Naturale e Archeologia di Montebelluna - Treviso, Cierre Edizioni, Sommacampagna, pages 121-141; Zorzi, F. (2014) Percorso nel Padovano. Monte Fasolo, Monte Rusta, Monte Gemola. In: Zorzi, F., Boscardin, M., (eds. ), Minerali del Veneto. Alla scoperta dei tesori della nostra regione. Museo di Storia Naturale e Archeologia di Montebelluna - Treviso, Cierre Edizioni, Sommacampagna, pages 293-299. Zordan, A., Boscardin, M., & Zorzi, F. (2008). Foshagite di Contrada Molini, Laghi (Vicenza). Rivista Mineralogica Italiana, 3/2008, 178-180. Zordan, A. 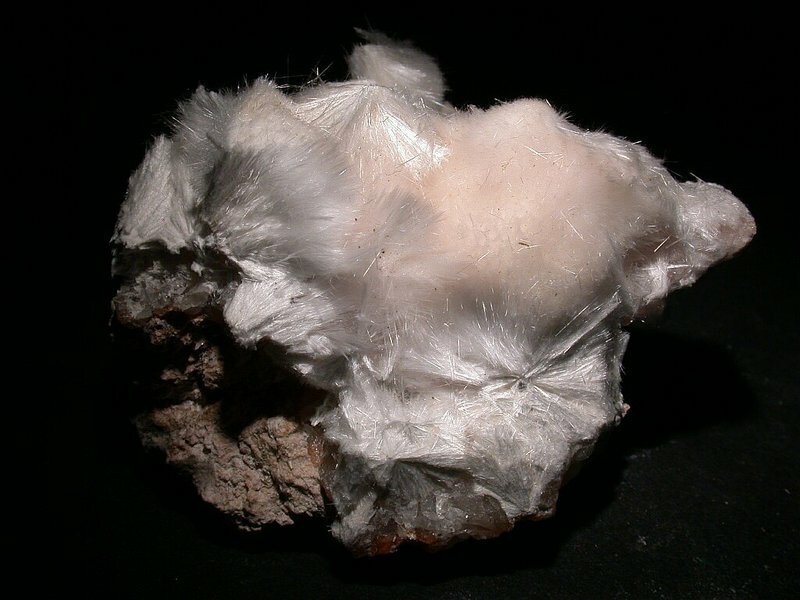 (1999): Brevi segnalazioni mineralogiche dal Vicentino. Rivista Mineralogica Italiana, 23, 4 (4-1999), 218-220; Boscardin, M., Daleffe, A., Rocchetti, I., Zordan, A. (2011): Minerali del Vicentino - Aggiornamenti, località e nuove determinazioni. Museo di Archeologia e Scienze Naturali “G. Zannato”, Montecchio Maggiore (Vicenza), 183 pp. ; Zordan, A. (2014): Provincia di Vicenza. In: Zorzi, F., Boscardin, M., (eds. ), Minerali del Veneto. Alla scoperta dei tesori della nostra regione. Museo di Storia Naturale e Archeologia di Montebelluna - Treviso, Cierre Edizioni, Sommacampagna, 173-246. Handbook of Mineralogy, (c) 2001. Alluvial cobbles in innumerable collections. Mineralogical Journal Vol. 14 (1989) , No. 7 pp 299-302; Henmi, C., Kusachi, I., Kawahara, A., & Henmi, K. (1978). 7T wollastonite from Fuka, Okayama Prefecture. Mineralogical Journal, 9(3), 169-181.; Henmi, C., & Kusachi, I. (1992). Clinotobermorite, Ca5Si6 (O, OH) 18· 5H2O, a new mineral from Fuka, Okayama Prefecture, Japan. Mineralogical Magazine, 56(3), 353-358. Rammelsberg C (1866) Ueber den Xonaltit, ein neues wasserhaltiges Kalksilikat, und den Bustamit aus Mexiko, Zeitschrift der Deutschen Geologischen Gesellschaft 18, 33-34; Dana 6:569; Panczner(1987):399. Coombs, D.S. (1960) Note on xonotlite from Acheron River, Mid-Canterbury. New Zealand Journal of Geology and Geophysics, 3:1, 72-73. O'Brien, J. P., & Rodgers, K. A. (1973). Xonotlite and rodingites from Wairere, New Zealand. Mineralogical Magazine, 39, 233-240. Pavel M. Kartashov data; Kulikov, I. V., & Boyarskaya, R. V. (1989). Hydrosaline melts in inclusions in fluorite from the Tyrnyauz Deposit. International Geology Review, 31(10), 1039-1054. Spiridonov, E. M. (2010). Ore-magmatic systems of the Noril’sk ore field. Russian Geology and Geophysics, 51(9), 1059-1077. Chukanov, N.V., Kasatkin, A.V., Zubkova, N. V., Britvin, S.N., Pautov, L.A., Pekov, I.V., Varlamov, D.A., Bychkova, Ya. V., Loskutov, A.B., Novgorodova, E.A. (2016): Tatarinovite Са3Al(SO4)[В(ОH)4](ОH)6 · 12H2O, a new ettringite-group mineral from the Bazhenovskoe deposit, Middle Urals, Russia, and its crystal structure. Geology of Ore Deposits 58: 653-665.
ⓘ Gumeshevskii Cu Mine (Gumeshevskoye) ? Grabezhev, A. I., Pertsev, N. N., Zadov, A. E., Pribavkin, S. V., & Murzin, V. V. (2007). Calcic hydrosilicate metasomatic rocks at the Gumeshevsk skarn-porphyry copper deposit in the central Urals, Russia. Petrology, 15(5), 514-522. Giester, G., & Rieck, B. (1996). Wesselsite, SrCu [Si4Olo], a further new gillespite-group mineral from the Kalahari Manganese Field, South Africa. Mineralogical Magazine, 60, 795-798. In the collection of Brent Thorne. Acquired from Rob Lavinsky. Henmi, C., Kusachi, I., Henmi, K., Sabine, P.A., and Young, B.R. (1973) A new mineral bicchulite, the natural analogue of gehlenite hydrate, from Fuka, Okayama Prefecture, Japan and Carneal, County Antrim, Northern Ireland, Mineralogical Journal, 7, 243-251. Pabst, Adolf, Gross, E.B., and Alfors, J.T. (1967) Rosenhahnite, a new hydrous calcium silicate from Mendocino County, California. American Mineralogist: 52: 336; Pemberton, H. Earl (1983), Minerals of California; Van Nostrand Reinholt Press: 409. Murdoch, Joseph & Robert W. Webb (1966), Minerals of California, Centennial Volume (1866-1966): California Division Mines & Geology Bulletin 189: 390; Pemberton, H. Earl (1983), Minerals of California: 409, 410. Murdoch, Joseph & Robert W. Webb (1966), Minerals of California, Centennial Volume (1866-1966): California Division Mines & Geology Bulletin 189: 390. Eakle, Arthur Starr (1917), Minerals associated with the crystalline limestone at Crestmore, Riverside County, California: University of California Department of Geological Sciences Bulletin: 10: 327-360; Eakle, Arthur Starr (1921), Jurupaite, a new mineral: American Mineralogist: 6: 107-109; Woodford, A.O., Crippen, R.A., and Garner, K.B. (1941) Section Across Commercial Quarry, Crestmorre, California. American Mineralogist: 26: 352-381; Daly, John W. (1935), Paragenesis of mineral assemblages at Crestmore, California American Mineralogist: 20: 654; Pemberton, H. Earl (1983), Minerals of California; Van Nostrand Reinholt Press: 409. Murdoch, Joseph & Robert W. Webb (1966), Minerals of California, Centennial Volume (1866-1966): California Division Mines & Geology Bulletin 189: 115, 390. Eakle, Arthur Starr (1901), Mineralogical notes; with chemical analyses by W.T. Schaller: University of California, Department of Geological Science Bulletin: 2: 316; Murdoch, Joseph & Robert W. Webb (1966), Minerals of California, Centennial Volume (1866-1966): California Division Mines & Geology Bulletin 189: 222, 390; Schlocker, J. (1974) Geology of the San Francisco North quadrangle. USGS Professional Paper 782, 109 pp. ; Pemberton, H. Earl (1983), Minerals of California; Van Nostrand Reinholt Press: 201-202, 409. Pemberton, H. Earl (1983), Minerals of California; Van Nostrand Reinholt Press: 409. Hanks, Henry Garber (1888), Pectolite Mining and Scientific Press: 56: 44; Irelan, William, Jr. (1890a), Ninth annual report of the State Mineralogist: California Mining Bureau. Report 9, 352 pp. : 47; Larsen, Esper Signius (1923), The identity of eakleite and xonotlite: American Mineralogist: 8: 181-182; Murdoch, Joseph & Robert W. Webb (1966), Minerals of California, Centennial Volume (1866-1966): California Division Mines & Geology Bulletin 189: 285. 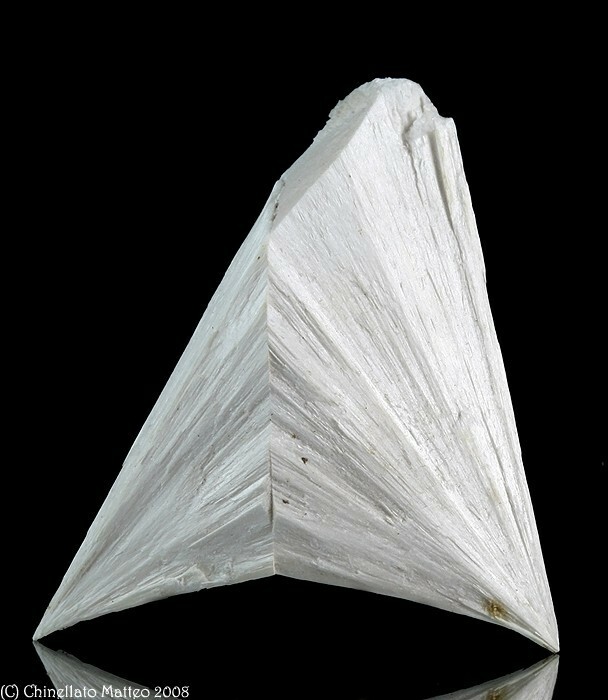 Larsen, Esper Signius (1917), Eakleite, a new mineral from California: American Journal of Science, 4th. series: 43: 464-465; Larsen, Esper Signius (1923), The identity of eakleite and xonotlite: American Mineralogist: 8: 181-182; Murdoch, Joseph & Robert W. Webb (1966), Minerals of California, Centennial Volume (1866-1966): California Division Mines & Geology Bulletin 189: 173, 390. Schwartz, G.M. (1924) An occurrence of xonotlite in Minnesota. American Mineralogist: 9: 32-33. Kenny Gay message 15.09.2005 Smithsonian Institution Mineral Reference Collection No.171443-00,171453-00,and 171444-00.